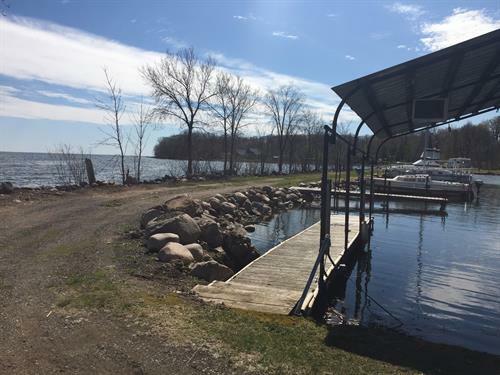 6546 US HWY 169 Garrison, MN 56450 Directly on Lake Mille Lacs - Located 3 miles South of Garrison (Where There's a HUGE Walleye Fish Statue), Minnesota on Highway 169. Daily. Charter the launch for business, corporate outings, family reunions, church groups, or group of friends. 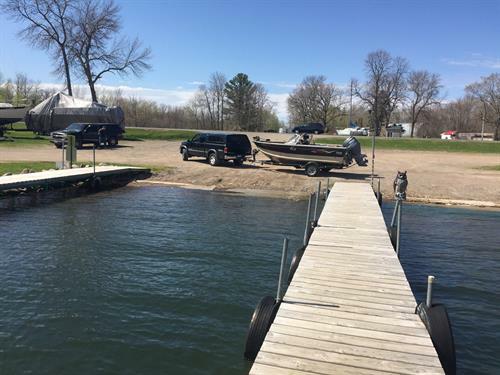 Unlike other charters, at Terry's you can cook on their gas grill or bring whatever food and beverages you like. Our launch drivers are guides and certified captains. 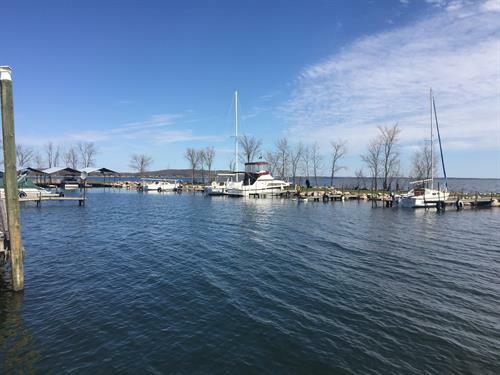 Boats are insured and have passed state of Minnesota inspection. Rods, reels, bait, and tackle provided at no additional charge. Help with baiting hooks, netting fish, and stringing fish in the on-board live well. 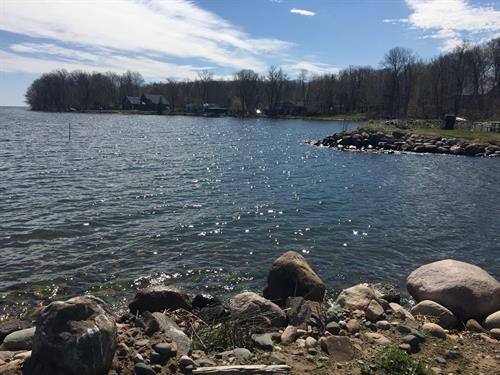 Terry's Boat Launch Ramp is located in Protected Marina on Mille Lacs Lake at 6546 US HWY 169 in Garrison, MN 56430 Seasonal & daily boat slips are available with deep protected harbor. 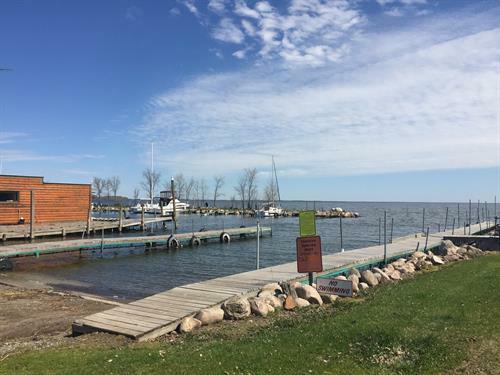 Terry's offers the deepest, Concrete ramp on Lake Mille Lacs, can accommodate Sail Boats, Fishing Boats, Pontoons, Wheelhouses, Trailers. Live Bait & Terminal Tackle Available daily. Deluxe, fully equipped fish houses are available for rent. Fish houses sleep from two to eight people, and have bunks, table and chairs, cookstoves, Lindell Rattle Reels, lights, carpet and some have bathrooms. We move to where the fish are. 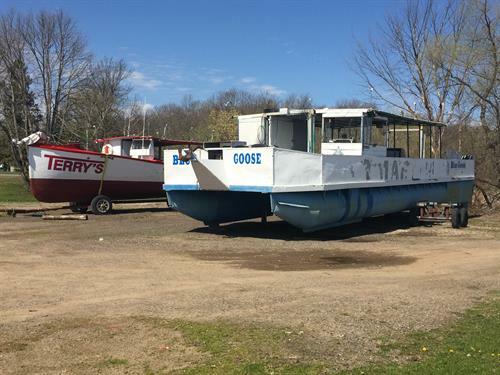 Complete Fish House Services including: fish house moving, LP gas, blocking and banking houses, stove start-up and lights, hole drilling, FREE car starting and many other services for an additional cost. 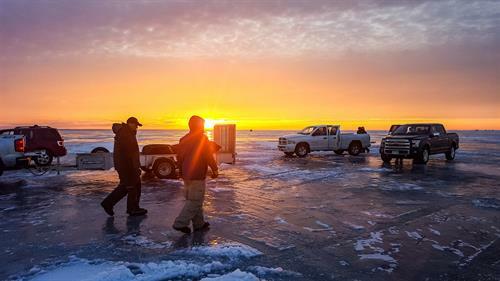 We offer 32 deluxe ice fishing houses for rent, sleep from 2 to 8 people with clean bunks, table and chairs, full-size cooking stoves with ovens, rattle reels, gas lights and carpet. Some fish house rentals have bathrooms inside, others have heated Satellite facilities nearby for your convenience.